Step is a documentary that follows a group of girls going through their senior year of high school in the American city of Baltimore, Maryland, focusing on the role that a step dance group has in their lives. Facing social, economic, and political challenges, the group are empowered by their teachers, coaches, counsellors, families, and each other to make their dreams come true: namely, winning the step championship competition and being accepted into college. Should they succeed, most of the girls will be the first members of their family to go on to higher education. Along the way, the group learn lessons about teamwork and self-expression, as well as more complicated notions such as fear of failure, family, race and class. Combining elements of classic cinema musicals with an uplifting underdog story; charismatic, tenacious and witty individuals; and a belting dance competition at the end, it all adds up to make Step an inspirational, joyful and insightful film. 'Step' is a form of dance that combines footsteps, handclaps, call-and-response, songs, chants and musical rhythms into a distinct mode of storytelling and expression. It has its roots in African tribal dance, and in the U.S. it began in the slave trade, when call-and-response songs allowed slaves to communicate with one another. The movement flourished in various forms throughout the 20th century, becoming an increasingly intense sport and incorporating new trends such as tap dance, hip hop and stunt work. Step was brought further into popular culture through director Spike Lee's School Daze, and it is now practiced worldwide and seen in countless music videos. Young audiences may also recognise it from the Step Up franchise. In 2008, Step director Amanda Lipitz was one of a number of volunteers who founded the Baltimore Leadership School For Young Women, a network set up to empower students to break the cycle of poverty through education and raise a new generation to take on their futures with passion, power and purpose. Like any documentarian, she instinctively realised the filmic possibilities of the project, but her initial broad vision changed when she discovered that some of the girls had set up their own step team, which came to be known as the 'Lethal Ladies of Baltimore'. The film focuses on three individuals: Blessin is the talented founder and leader of the group. Her talent on stage is soaring, but she feels stuck at school and at home; Cori is a hugely bright student aiming for a scholarship to a prestigious college; and Tayla, known for her deadpan wit, just a notch down from Beyoncé in her dance abilities, and whose mother takes on the step team as her mission, wanting to give them the opportunities she never had. For these three, and all the others in the team, the step program became an escape from their daily struggles, providing the space to laugh and cry together, but also learn to express themselves in an exuberant, positive atmosphere. Although lots of screen time is spent watching the dance routines being choreographed and performed, much of the film's emotional power comes from seeing the students at home, interacting with their family and discussing the daily challenges of their lives. We also spend a great deal of time with their college counsellor, as she gently encourages them to raise their aspirations and push themselves to be all they can be. The challenges of the final year at school are immense for everybody, but for the Lethal Ladies they are even greater. Their story unfolds in the shadow of social unrest across Baltimore, following the death of Freddie Gray, a local African-American man in police custody; an event that sparked protests in the area that led to violence that flared up and made international headlines. As the girls were filling out college applications and pondering what the next chapter in their lives should be, they had to confront the impact of this event on themselves and the community around them. Seizing on the cultural history of step, and the freedom of expression it afforded them, they articulated their reactions in physical form, crafting defiant routines honouring Gray and insisting that their own voices be heard. As in many musicals, the dance routines themselves take on a significance beyond mere performance. The girls' routines tell us more about the characters we are watching, their perspectives on the world and their social development. When things don't go to plan, we understand the context, and when things go well, we celebrate with them even more triumphantly. The film is also influenced by the tradition of cinema-verité, adopting a fly-on-the-wall camera style that takes the audience directly into the young students' world with the aim of creating an atmosphere that is immersive without being intrusive, and where the students felt they could be themselves. 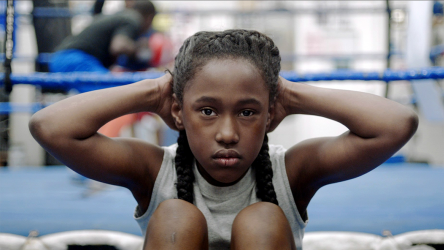 Many have compared Step to the classic basketball documentary Hoop Dreams, and the film also links in strongly with the #BlackLivesMatter movement, articulated in films such as Fruitvale Station; The Fits; 3½ Minutes, 10 Bullets; and Dear White People. For younger audiences, the film is a useful complement to titles such as Mad Hot Ballroom and Only When I Dance. The hope is that other families and students who had perhaps thought college or university was not an option for them will watch the film and begin to think otherwise, and take the first steps in talking to people and finding out what their options are. But the film's inspirational message carries through to all young people: as Blessin says, "it doesn't matter where you come from... you can be whatever you want to be. But you have to be willing to go after it." Dance and cinema have always been compatible partners for one another, even before the advent of sound film. 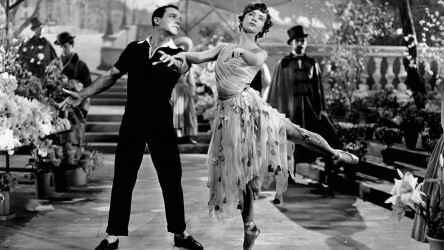 Some of our favourite dance films can be found on our Dance on Film list, as well as our Spotlight on Dance resource. 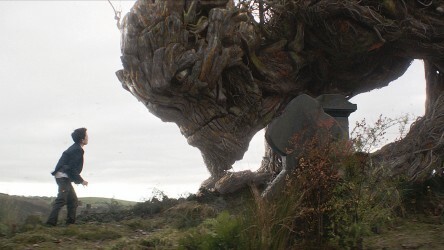 More and more films are embracing the power of creativity to help young people through challenging situations, including A Monster Calls, Me and Earl and the Dying Girl, and When Marnie Was There. Step is a wonderfully empowering new addition to this trend.